Catapulting us into the gaseous stream of the stealthy musical unknown, the joint effort between Michel Banabila and Machinefabriek takes us high into the thin, thinner and now gone air through nine different passages. Like every trip you take to the farthest reaches of the atmospheric, abstract music, both artists make sure to point directly at the beautiful lights and sounds on their softly vibrating surroundings. As you go upwards and further, you can tell the difference between soft contrails of delicate sounds and more intense, threatening clouds of tiny distortions in the duo’s sky, like those you can witness on ‘Slow wave II’. Through the ether, these minute voices on ‘dead air’, grow into a full on electric storm that borders like a brave citadel of defiance between the abstract music that usually floats in the realm of ambience, and harsh noise. 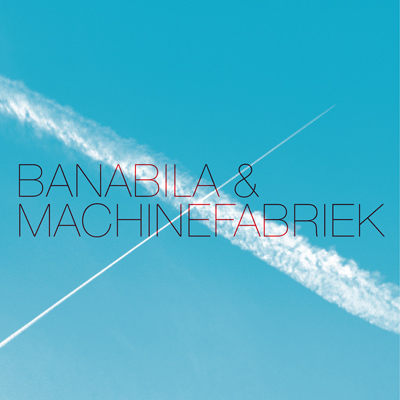 Through this glimpse, however brief, we learn about Banabila and machinefabriek’s full spectrum dominance when it comes to their form of aesthetic sound manipulation. Like the tracks’ titles suggest, this mighty catapulting is inevitably doomed to an end, and as ‘descent’ fades away, it is only left to say that this was a magnificent voyage through sounds, tiny through massive. This is, indeed, a great album.